Ever get tired of playing the dashing hero and wish you could hack-n-slash and loot from the other side of the equation? Today, you'll get a chance to do just that in Looterkings, a dungeon crawler where you play as a goblin that's out to pillage the Elven domains. The game supports four player online co-op and features some "rogue-like" elements. Each time you venture forth (or die), the room layout, enemy placement, and treasures will be changed. 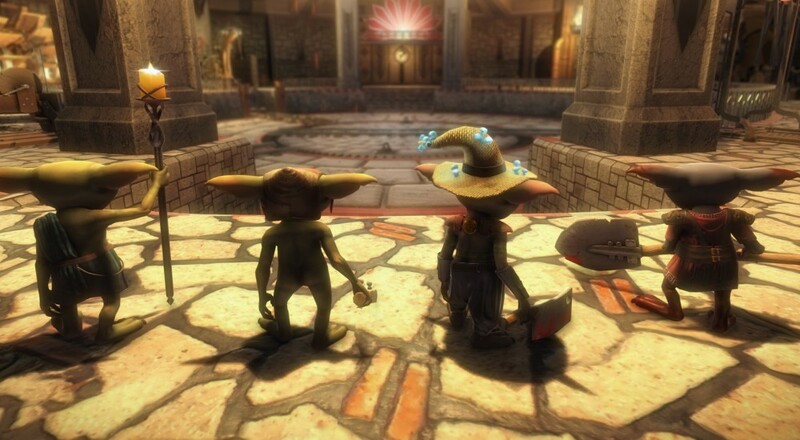 At the end of each level, you'll have an opportunity to spend some of that loot at the goblin merchant in order to upgrade your weapons and armor. There's also a unique co-op mechanic where you can carry your fellow player and bestow upon them a buff for as long as you're stacked up. Page created in 0.9278 seconds.